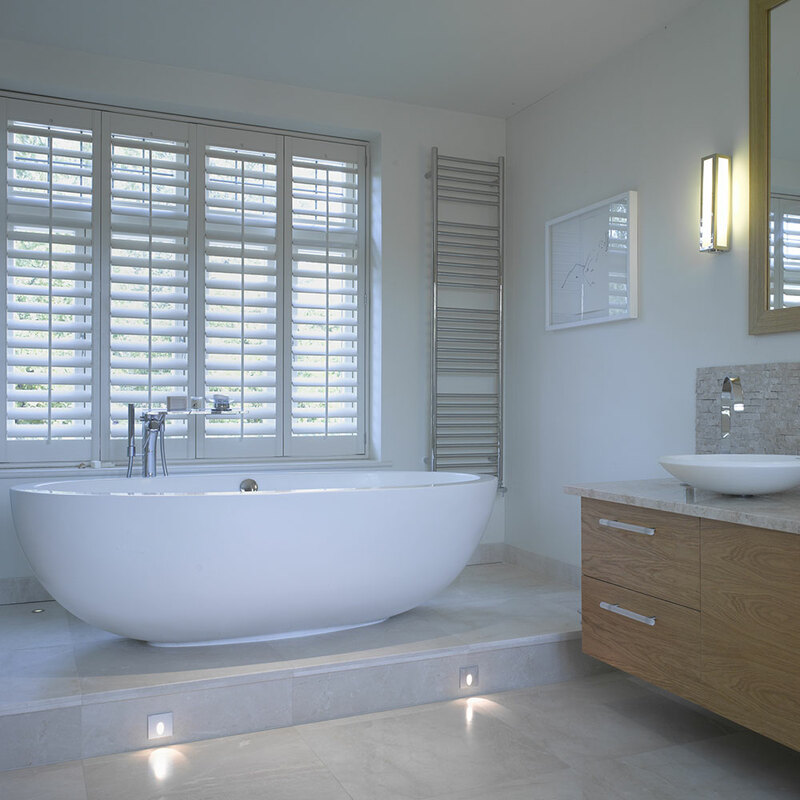 Oak fitted bedroom opens onto an en-suite bathroom which features an oak vanity unit. 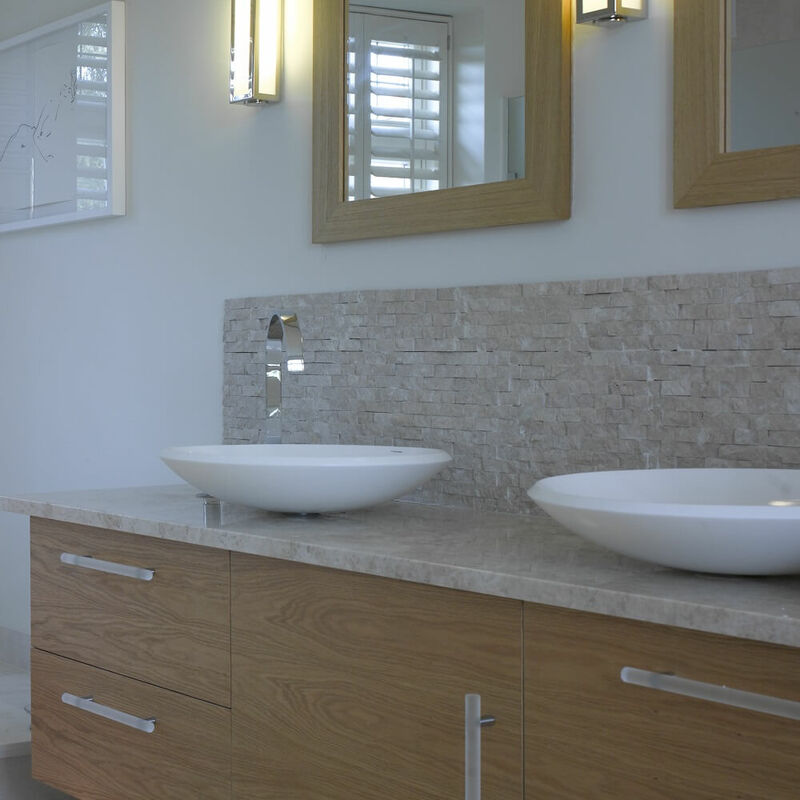 Glass fronted cabinets and a marble top adds to the stylish contemporary appearance of this en-suite bathroom vanity unit. Introduce carefully handcrafted made to measure wood furniture to your bedroom. 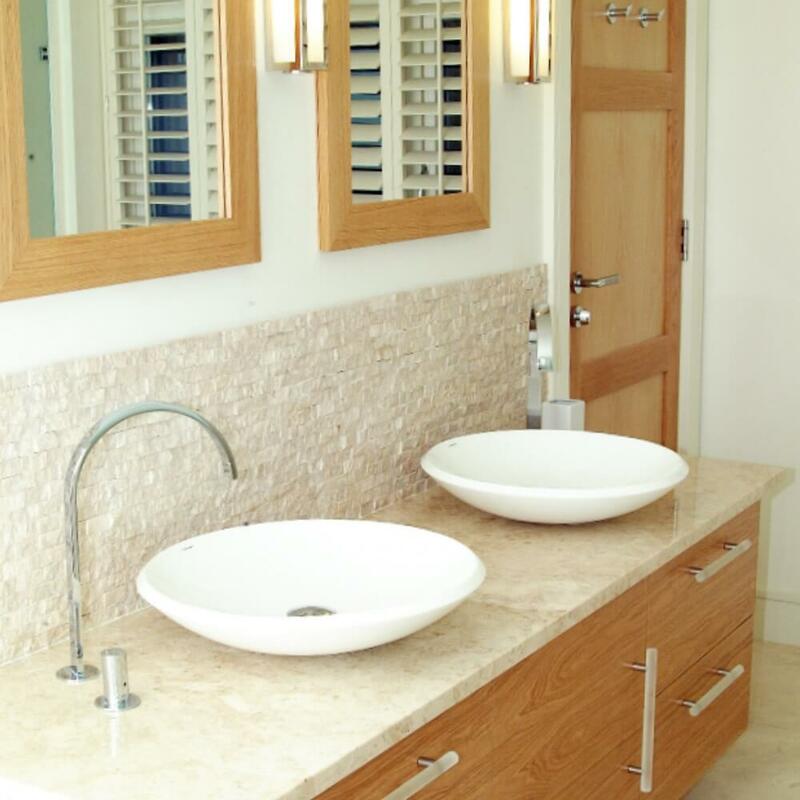 We use a variety of traditional skills to produce furniture that reveals and utilises every beautiful detail of wood. The natural appearance of wood is a perfect choice if you are looking for timeless pieces of furniture which will blend with new décors for years to come.